FAQs / How much does it cost? 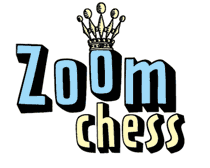 An individual child can use ZoomChess for $6.95 per month, $29.95 for 6 months (28% off the full monthly rate), or $49.65 per year (40% off the full monthly rate). Families and Classes are eligible for further discounts. Please see PRICING for more details. A win by an unsound combination, however showy, fills me with artistic horror.